Do you notice anything unusual about our sky today? If you look closely, you’ll see a slight orange haze above Southwest Florida over the next few days…. 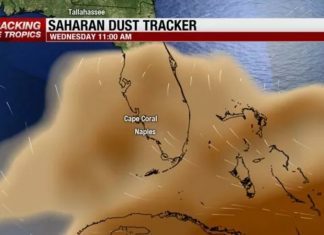 Because Saharan dust arrives in Florida. The source..